interested observers in the Thermetrics booth at Techtextil North America 2018 in Atlanta. North Carolina is steeped in a rich textile heritage. The state's textile history dates back to its cotton manufacturing era of the early 1800s. During the 20th century, a period of sustained growth bolstered the industry. And despite the economic downturn of the new millennium, today's textile industry in North Carolina has grown to become the largest and most prosperous textile state in the U.S., producing a wide range of textile products and supporting around 700 textile manufactures and a workforce of more than 42,000. In addition, the state leads the way in nonwoven research at North Carolina State University's college of Textiles. Considering this backdrop, it is not surprising that Messe Frankfurt GmbH has selected Raleigh, NC, as the host city for Techtextil North America 2019. This year's event, scheduled for February 26-28, 2019, is expected to draw visitors from across the globe, including top industry executives, buyers, engineers, technical directors, plant managers, product development managers, and more. 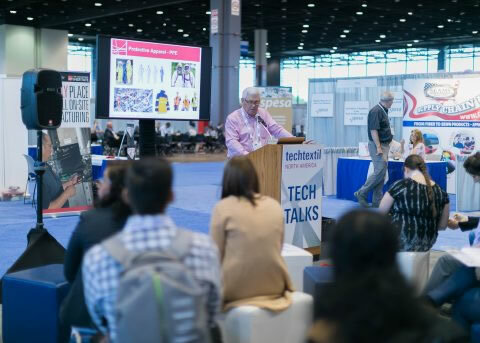 Decision makers from all major industries that touch technical textiles and nonwovens will attend Techtextil North America to conduct business and discover the latest product developments and industry trends. Aisle activity at Techtextil North America / Texprocess Americas 2018 in Atlanta. This year, Techtextil North America has an academic partnership with North Carolina State University. "We are thrilled about this new endeavor and our first ever official academic partnership with North Carolina State University's College of Textiles," said Kristy Meade, Show Director. North Carolina State University's College of Textiles, located minutes from the Raleigh Convention Center, serves as a hub for textile research and development and as a primary supplier to the industry talent pipeline nationwide. The College, internationally renowned as leading the field in textile education and innovation through industry collaboration, aims to be the global leader in textile public-private partnerships. "The College of Textiles at NC State University is proud to be the first academic partner for Techtextil North America," said David Hinks, Ph.D., Dean and Cone Mills Professor of Textile Chemistry, College of Textiles at NC State University. "Throughout our 119-year journey our College has been committed to catalyzing growth and innovation across the entire textiles enterprise." Show attendees enjoying a Tech Talk seminar at Techtextil North America 2018 in Atlanta. 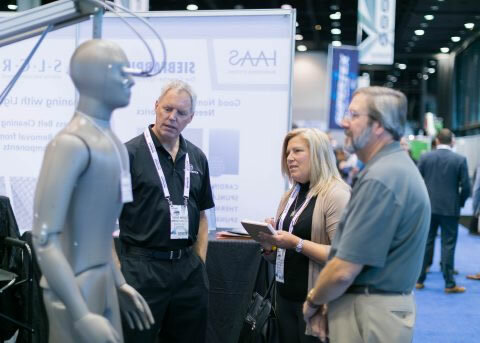 Premier Symposium: The highly-acclaimed symposium provides attendees the opportunity to listen and learn from industry leaders and expert presenters, who will cover innovations in textiles for industry-specific applications, including medical, aerospace, personal protection and more. Topics will include smart textiles, new fiber developments, advancements in nonwovens. 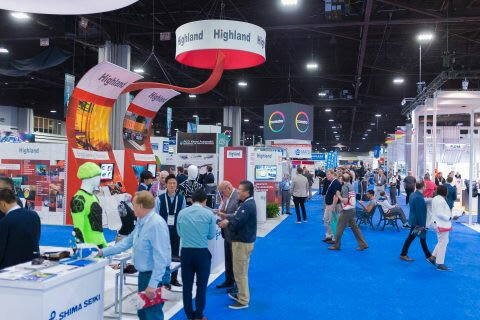 For the first time, Techtextil North America will offer a la carte pricing, giving visitors the flexibility to pick and choose the sessions most relevant to them, as well as a "Full Experience" option, which includes three-day exhibit hall access, entry into all Symposium sessions, as well as shuttle transportation and entry into Reception & Tours at NC State. For more information on pricing and session offerings, visit "https://techtextilnorthamerica2019.expotracker.net. "The Lab" Testing Demonstration Area: A brand new show floor feature will be "The Lab," a demonstration and learning area featuring equipment & technology for textile testing and standards. Participation in The Lab will give visitors the chance to experience textile testing first hand, to discover new testing methods and educate themselves on the latest in industry standards. Student Research Poster Program: The annual Graduate Student Poster Program is open to undergraduate students, as well as those pursuing their Master's or Ph.D. Students from around the world will have a platform to share their research findings with peers and potential employers/sponsors, and a chance to present their research in front of a captive audience during the three days of Tech Talks, which will be located on the show floor, which will once again be powered by The Nonwovens Institute. After-hours Reception & Tours at North Carolina State University's College of Textiles: Techtextil North America and NC State will host an evening of education and exploration, taking place on Wednesday, February 27th from 6:00-8:30 pm. Attendees will enjoy light hors d'oeuvres & drinks; the opportunity to network with other show attendees in an open-house style reception; to meet and greet students and faculty; and to view current projects and research studies as they tour the top-of-the-line laboratories and fabrication facilities. Guided tours of The Nonwovens Institute will also be taking place, with a limited number of spots available. Tickets are currently available as an add-on to all registration types, and will be available for purchase on-site.